The Criminal Justice Profession within HMRC is primarily made up of staff from the Fraud Investigation Service and Risk & Intelligence Service. HMRC’s Fraud Investigation Service (FIS) is responsible for the department’s civil and criminal investigations into the most serious fraud and wrongdoing. FIS ensures that HMRC has an effective approach to tackling the most serious tax evasion and fraud. 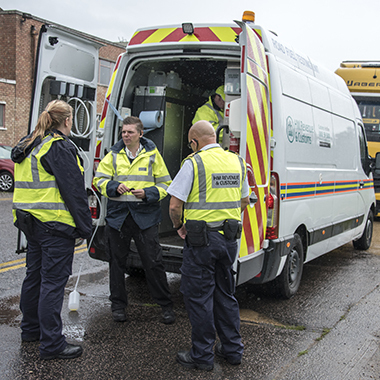 FIS is home to a wide range of people with a variety of skills and professional backgrounds – including accountants, cybercrime specialists, criminal justice professionals, tax professionals and operational delivery support teams to name but a few. A wide range of powers is used and approaches to protect funding for UK public services, investigating the most harmful tax cheats and ensuring nobody is beyond our reach. HMRC’s Risk & Intelligence (RIS) are at the heart of HMRC compliance and enforcement activity. Their primary role is to enable HMRC to understand and manage the risks to the tax system by gathering information and seeking out high quality intelligence from within and outside the UK. This is then analysed and the risks and threats assessed to provide comprehensive high-quality Risk & Intelligence products. Products are designed to ensure HMRC engages most appropriately with any given customer. 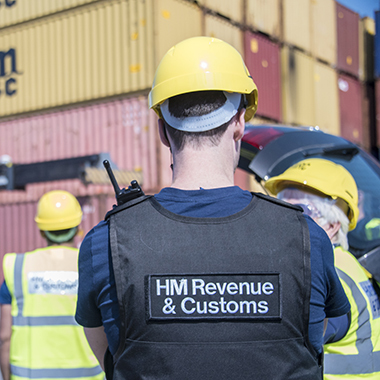 As an HMRC Criminal Justice professional you will use surveillance, property seizures, interviews under caution and arrests to help combat smuggling, tax evasion and repayment fraud. And you’ll be able to draw on the Department’s full range of investigation tools and powers to help make a lasting difference against criminal organisations, taking away their assets and ensuring crime doesn’t pay. Criminal attacks on the tax system, tax evasion and fraud aren’t victimless crimes: this is money that is stolen from vital public services and it undermines honest traders. It’s estimated that tax evasion and fraud costs the exchequer up to £10bn per annum [source]. That’s why we always look to recover the proceeds from any crime committed. We aim to take the profit out of organised crime and create a level playing field for honest businesses and individuals. So join us and develop a challenging and fulfilling career in one of the following Criminal Justice roles.